Presenting to the market a two bedroom apartment with allocated parking within a stones throw from Weymouth seafront. Communal entrance, entrance hallway, lounge, kitchen, two bedrooms and bathroom. ENTRANCE HALL 11' 5" x 3' 9" (3.5m x 1.15m) Wooden entry door, wall mounted radiator, loft hatch, security telephone entry, fusebox in wooden cupboard, thermostat, doors to all room. 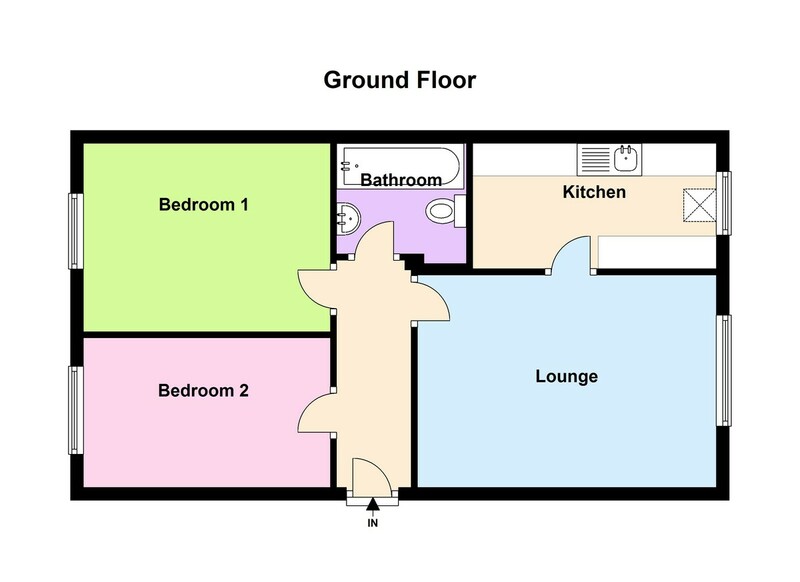 LOUNGE 15' 3" x 14' 9" (4.65m x 4.5m) Side aspect double glazed windows, television point, wall mounted radiator. KITCHEN 9' 10" x 7' 0" (3m x 2.15m) Side aspect double glazed window, surrounding base & wall units with worktops over, stainless steel sink & drainer, ceramic hob, built in oven, cooker hood extractor, cupboard space housing boiler and storage space. BATHROOM Chrome wall mounted heater, pedestal hand wash basin, low level wc, inset bath, part tiled, extractor fan, shower system over bath.